Shengkai D97, another affordable Quadcopter! Though identical in design with the most famous Syma X5C, seems to be unique with its specifications, for the price tag of $45.99. Shengkai D97 comes with 2 Megapixel Wifi camera for the real time image and video transmission, also called as FPV (First Person View in drone terminology). The FPV can be achieved by connecting the drone to the iOS or android Phone through WIFI via the App available for download, similar to the Syma X5SW, which is costing $74. The Additional advantageous features include, the Headless Mode, also referred as IOC (intelligent Orientation control), One Key Return to Home, the most useful feature under uncontrollable circumstances. The 600 mAH Lipo battery promises to give a flight time upto 7 minutes.100 meters controlling distance is another added advantage for distant flying. Parking the brand value aside, Shengkai D97 is a ready to fly quadcopter with unique features, the adjustable lens has now become a trend with all the quadcopters, JJRC H5P is one such model, in the recent times. Shengkai WiFI camera lens can be adjusted 90 degrees for a better aerial photography. The controllable LEDS Lights and the battery over charge protection system along with the Headless mode, WiFi transmission and Return to Home(RTH) are the key features over X5C. The Transmitter of Shengkai D97 looks no replica, it has got unique design along with Phone mount for a FPV, through WIFI. 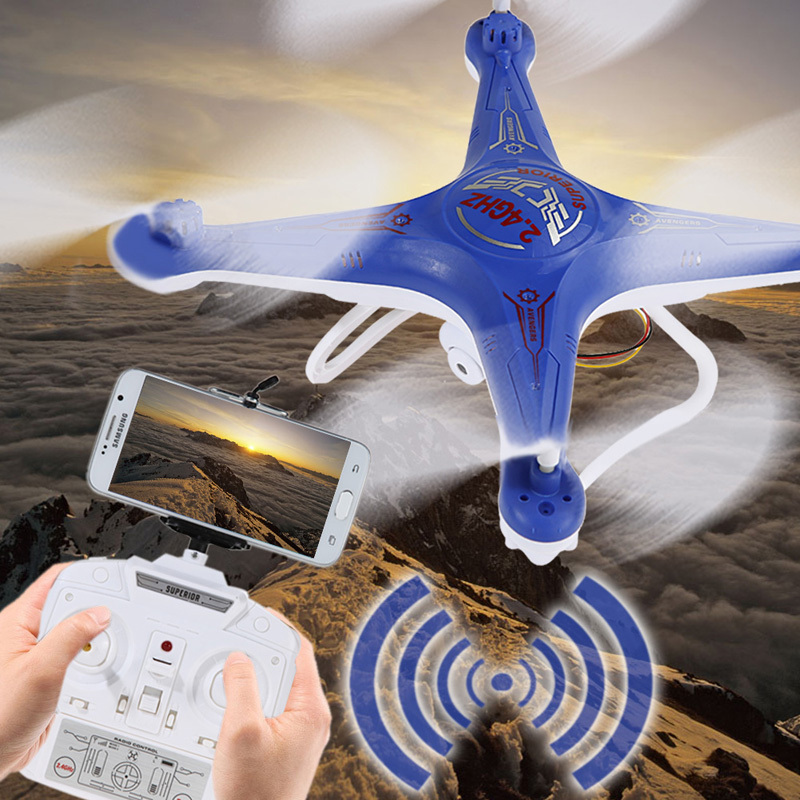 Available in two colors (white and Blue), the D97 quadcopter looks attractive in Blue. If you are a beginner or a casual experienced flyer, the Shengkai D97 is a best bet for the price tag of $45.99 with the discount coupon code : SKD97C applied during checkout. Buy it here. Share your views, discuss more about the Shengkai D97 WIFI FPV quadcopter using the below comments sections! and the remote is not working. I turn on and the led is not turning on. I will need a new remote controller please.